It was the women that got the UCI Road World Championships underway in Bergen, Norway today. And it was Team Virtu Cyclin that were the first to roll down the start ramp and out onto the roads of Norway. 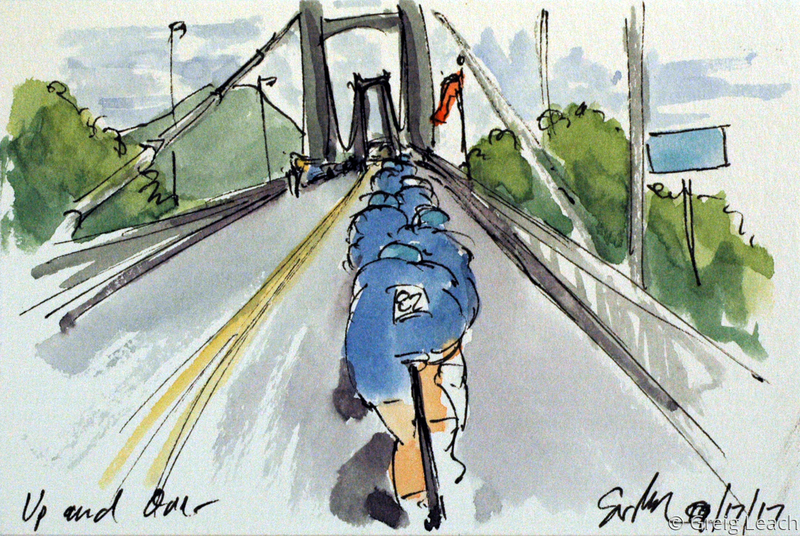 It was quite a sight to see these women ride over the very tall suspension bridge that led them into Bergen proper. Naturally, the team was setting the best times at each check point, the advantage of going first. And posted an acceptable time at the end of the day, leaving them in the middle of the back on the day.